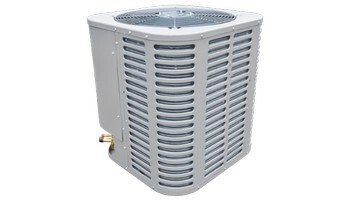 Ameristar air conditioners provide the cool air your household needs while our heat pumps work to deliver pleasant air temperatures year‑round, all at an ideal combination of capability and affordability. Ameristar units achieve efficiency ratings up to 14 SEER. –Our painted, galvanized steel cabinets resist rust and stand up to weather, helping to maintain the life of your unit. – The compact design and small footprint required are ideal for homeowners with limited yard space. Ameristar air conditioners and heat pumps operate quietly, with a maximum sound level of 76 decibels. Ameristar units use scroll compressors, which have fewer moving parts and are known to operate more smoothly and quietly than conventional compressors. Ameristar units cool with R-410A refrigerant, while select 13 SEER models are also compatible with R-22 refrigerant. SEER stands for seasonal energy efficiency ratio, which measures how efficiently an air conditioner or heat pump can cool your home in the summer. The higher the SEER, the less energy you’ll use to maintain pleasant temperatures,Compact and quiet, with the power and features you need, Ameristar air conditioners and heat pumps are value‑priced to fit your budget.